Audi Louisville opened in 1991 and has been serving clients throughout Kentucky - from Lexington, Bowling Green, Ashland, Covington, and more. We strive to provide a top quality personal, unique, and responsive experience and it's our goal to deliver the ultimate Audi ownership experience. Because of our dedication to our clients, we've been awarded the Audi MAGNA Award 5 times for outstanding client satisfaction. 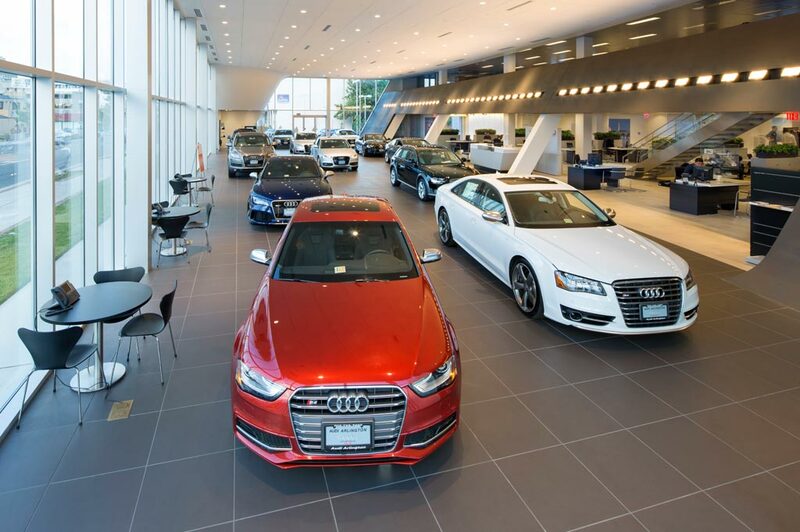 Our dedicated team of sales consultants is here to help you find the best Audi that fits your needs and lifestyle. We carry over 200+ new and used Audi vehicles including Audi Sedans, Audi SUV's and Crossovers, and more. Shop our Audi Certified Pre-Owned Inventory which include a 6-Year/100,000-Mile limited warranty, 300+ Point Inspection, 24/7 Roadside Assistance, plus the peace of mind and performance you expect from an Audi. Audi Louisville opened in 1991 and has been serving clients throughout Kentucky - from Bowling Green, Ashland, Evansville, Covington, and more. We strive to provide a top quality personal, unique, and responsive experience and it's our goal to deliver the ultimate Audi ownership experience. Because of our dedication to our clients, we've been awarded the Audi MAGNA Award 5 times for outstanding client satisfaction. Shop our Audi Certified Pre-Owned Inventory which include a 5-Year/Unlimited Mile* Certified Pre-Owned Limited Warranty, 300+ Point Inspection, 24/7 Roadside Assistance, plus the peace of mind and performance you expect from an Audi.